Three years after the final engineering work was undertaken to remove digital TV services from the 800MHz frequency band, to make way for more mobile services, the first work to clear the next chunk of frequencies for mobile communications has begun. Last year, delegates at the ITU World Radiocommunication Conference in Switzerland agreed that terrestrial services in Europe will clear the 700MHz band, in line with developments around the world, but that the remaining terrestrial TV frequencies will be safeguarded. EU and non-EU countries are aiming for a target completion date of 2020. 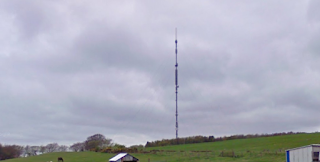 Digital UK, the company responsible for managing the UK's terrestrial TV service, has confirmed that broadcasting antennas at the Selkirk and Angus transmitters in Scotland have now been upgraded by mast operator Arqiva in preparation for the next clearance, the first engineering work of the process. Selkirk was originally the first main transmitter site to go through digital switchover in 2008. Starting next year and completing in 2020, clearance will see Freeview channels and other terrestrial services across Europe moved to new frequencies to make way for future mobile broadband services. Further transmitter sites will need to be adjusted, with temporary masts due to be installed at some locations in order for terrestrial TV services to continue broadcasting while engineering work takes place.